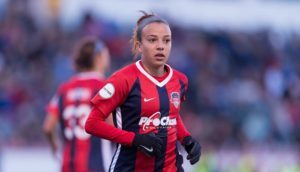 Two late goals from Mallory Pugh and Ashley Hatch were enough to earn the Spirit's first win of the season. Washington Spirit: Bledsoe; Smith, Church, Johnson, Dydasco; Sullivan, Quinn (Lohman, min. 56), Solaun (Dougherty-Howard, min. 68); Pugh, Hatch, Ordega (Eubanks, min. 87). Orlando Pride: Harris; Kreiger, Zadorsky, Pressley, Pickett; Weatherholt (Callahan, min. 90), Nairn, Edmonds; Hill, Leroux, Ubogagu (Evans, min. 74). SCORE: 1-0, min. 80, Pugh. 2-0, min. 88, Hatch. REFEREE: Matthew Franz (USA). Yellow Card: Church (min. 44). 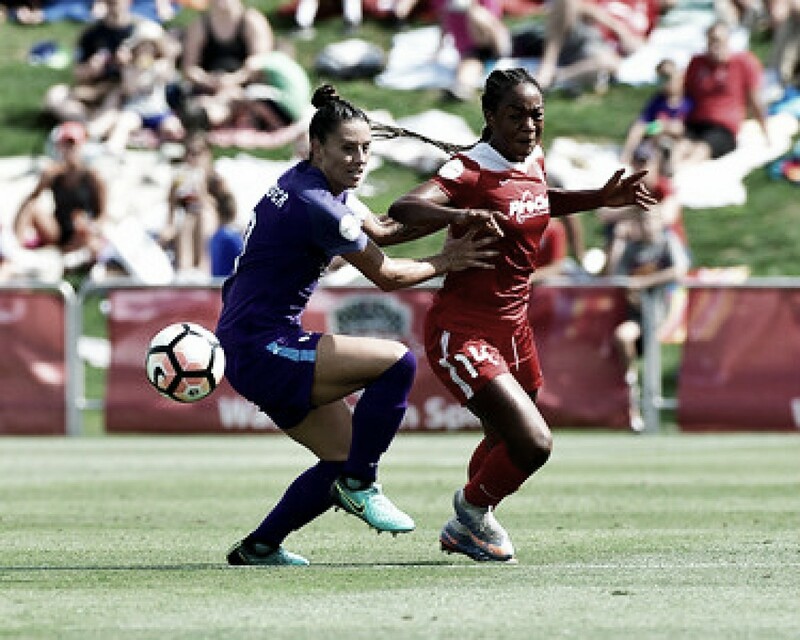 The Washington Spirit bounced back from last weekend's loss and produced a good display to win against the Orlando Pride. The Spirit now have their first points of this National Women's Soccer League season while the Pride will have to wait until their next game to potentially find their first win of the season. 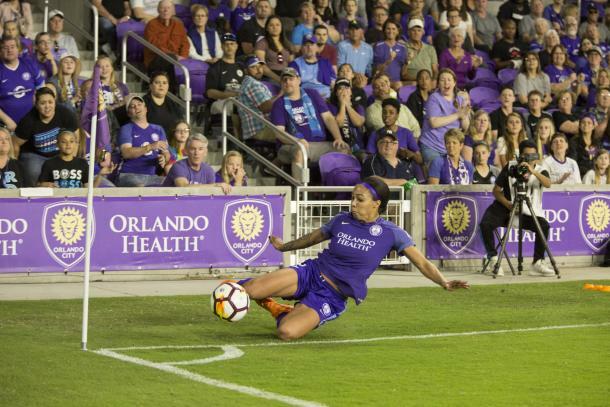 Washington started the game strong and could have broken the deadlock through Mallory Pugh in the eighth minute but her effort from a tight angle went just wide of the goal. Orlando then had their first good look of the game. Sydney Leroux threatened in the 14th minute of the game when she bent an effort towards goal but Aubrey Bledsoe, Washington's goalkeeper, was up to the task and tipped the ball over for a corner kick. Pugh, who was dangerous throughout the game, picked out Francisca Ordega with a lovely pass but the Nigerian was unable to keep her shot low and missed from a few yards away from goal. Rachel Hill was the next to go closest to scoring as her effort from outside the box in the 31st minute crashed off the crossbar and out, with Bledsoe beaten on all ends. Both sides went into the break knowing that they could have taken the lead with more clinical finishing in front of goal. The second half saw less opportunities created by both teams as the defenses seemed to stiffen up more the longer the game went on. It took a brilliant run and finish from Mallory Pugh to open the scoring in the 80th minute. Hatch nodded the ball on to Pugh near the halfway line and the US international raced forward before nutmegging Ashlyn Harris. Orlando pushed for an equalizer but Bledsoe was determined to see out her clean sheet and kept the visitors from scoring. Ashley Hatch then grabbed the game-winner in the 88th minute when Pugh's cut back was deflected into her path. The forward took it first time and finished well past Harris at the near post. After a spirited performance against Seattle Reign FC last week, the Spirit showed what they're truly capable of in today's game. They find themselves in third, having played a game more than some of the teams around them and will be happy with their overall performance. Orlando struggled without the likes of Alex Morgan and Marta, and now sit in seventh after today's loss.